Senior isolation is a growing problem in our world today. The effects that isolation can have, are staggering. Isolation increases the mortality, contributes to the risk of dementia, makes seniors more vulnerable to elder abuse, and is a major risk factor for depression. In a world of ever-increasing technological advances, we often hear that things, such as social media are decreasing face to face contact. There has been one exception. In a study published by the American Journal of Psychiatry, one technology seems to be having the opposite effect – video messaging. Dr. Alan Teo, associate professor of psychiatry at OHSU, cites that video chatting consistently lowered rates of depression. 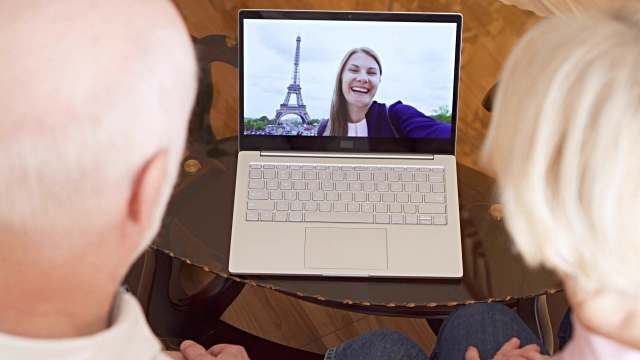 Video chatting allowed seniors to see their family and loved ones, even when they may reside in a different part of the world. The application possibilities of video chatting are endless, as are the devices that allow people to communicate in that manner. You can see some of the available devices in this article here. Many other options exist for seniors to communicate via video messaging. Facebook messenger offers video chatting, as well as video chat options on our cell phones, perhaps the most common video call tool, is Skype. The video below will give a quick tutorial about Skype so you can begin your video chat adventures!